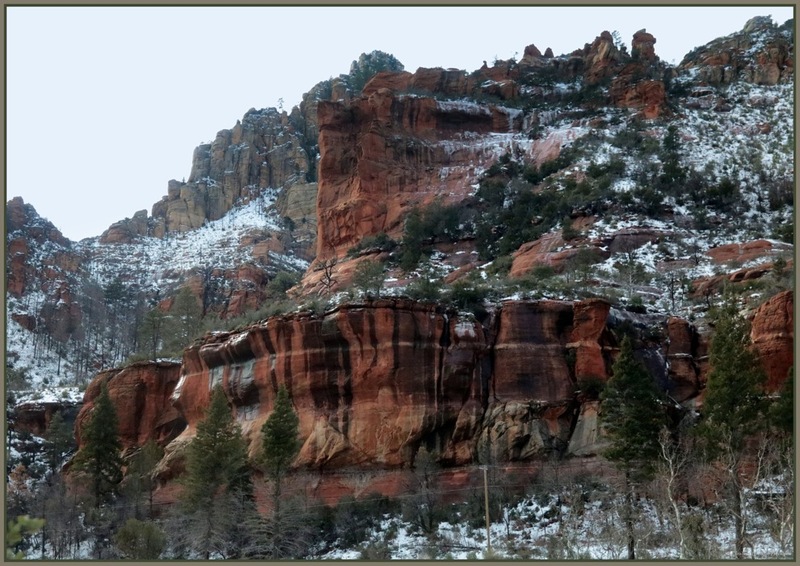 the Verde Valley and Sedona with a little Winter on them. The main pic has wonderful atmospherics, Elizabeth. Great captures where the snow presents a frosted appearance. The subtle color adds nice warmth to these beautiful shots!! Enjoy Utah! On this first day of Spring, Elizabeth, we can still marvel at the snow in places like this. Enjoy every minute of your time in Utah! That top picture is a hot one. Watch the smoke coming from the crevice. The dusting of snow really makes these images. It does look like a coating of icing sugar! Oh my, these are pretty shots with the dusting of snow. Don't they look real nice. They do look as if they have been dusted in icing sugar Elizabeth. Elizabeth Croston Buckalew: I'm glad you think so, Bill! Enjoy! Elizabeth Croston Buckalew: Arizona seems one big slab of rock at times!